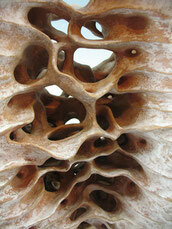 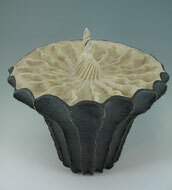 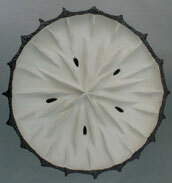 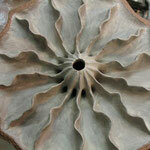 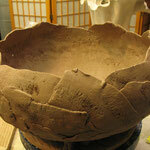 My ceramic vessels and sculptures are all made without the assistance of a potter's wheel. 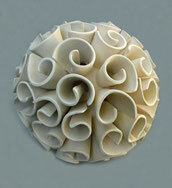 (I don't even own one!) 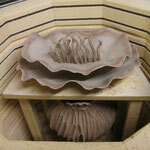 Everything is hand built, either from slabs or coils or a combination of the two. 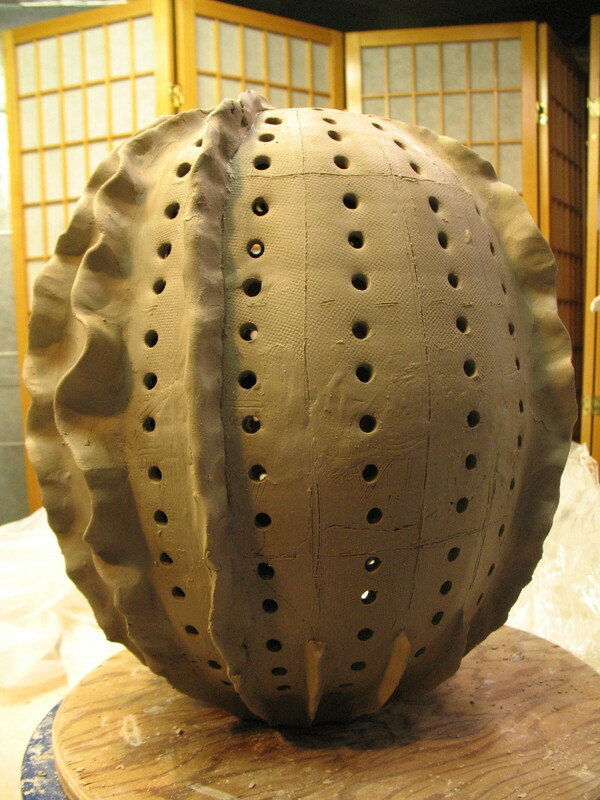 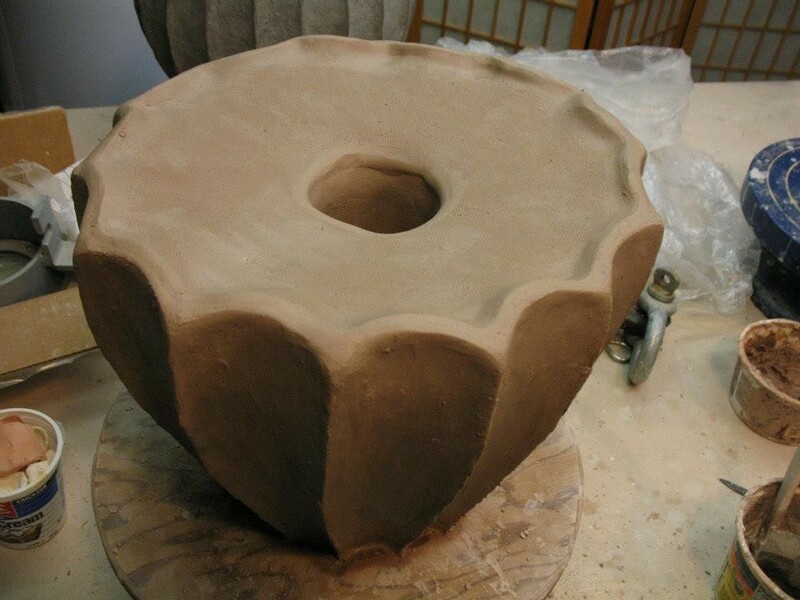 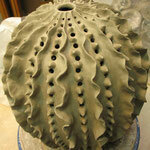 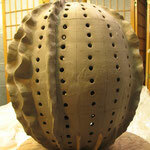 When I add coils to a piece, I pinch and smooth the clay to get the right thickness and shape. 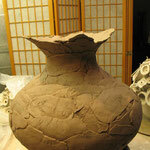 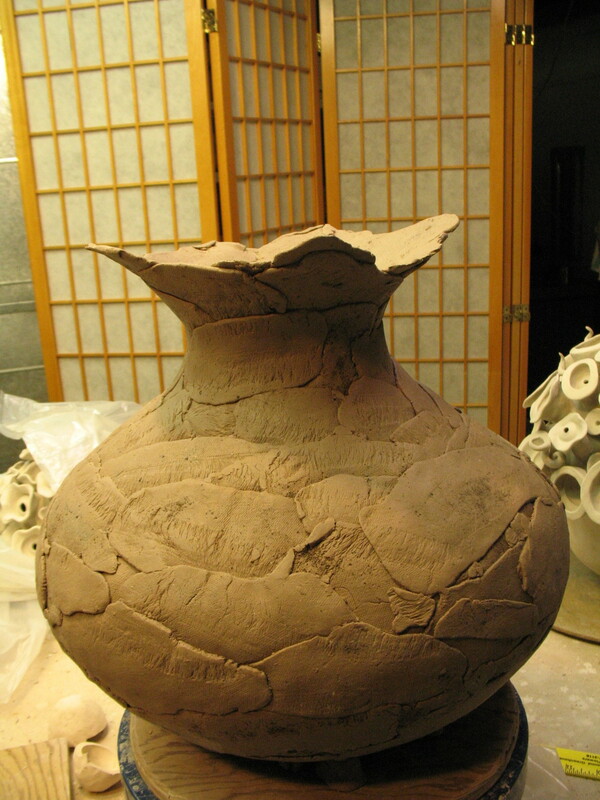 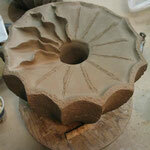 Sometimes I use a homemade pottery mold or texturing tool to achieve the desired form or texture. 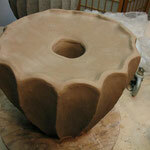 My slab roller and rolling pin are indispensable tools in my studio. 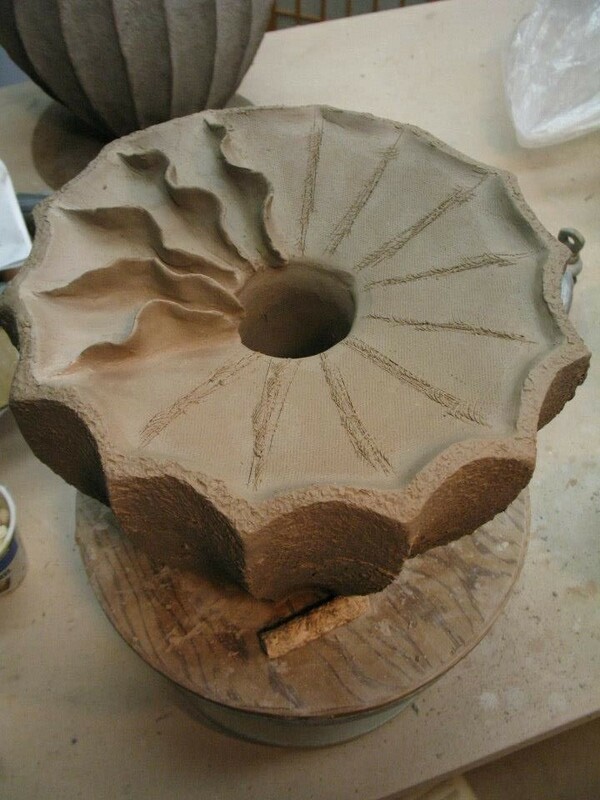 (The piece at left is an example of a slab-built piece.) 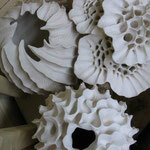 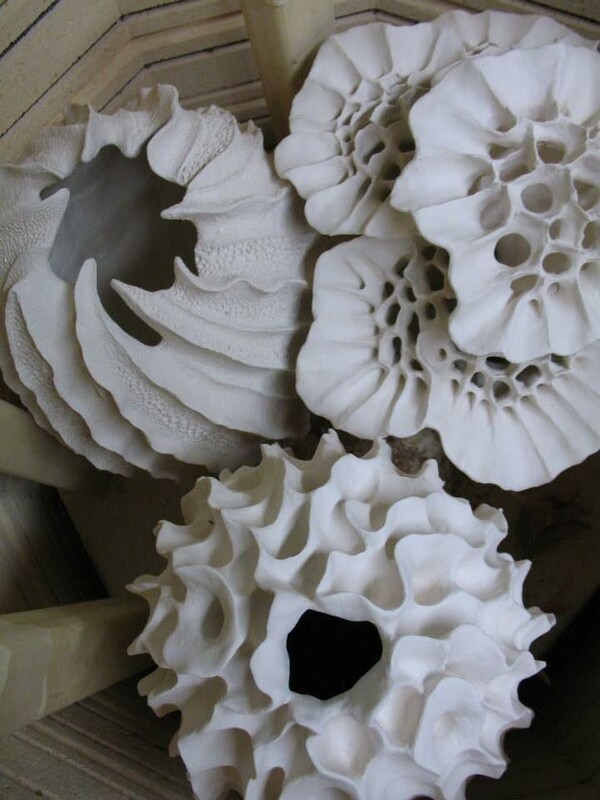 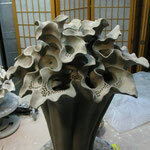 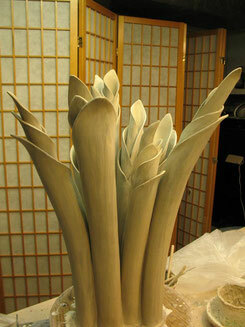 I like to form clay tubes from slabs, which I then join together to make a "bouquet" form. 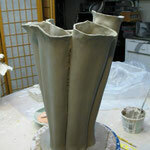 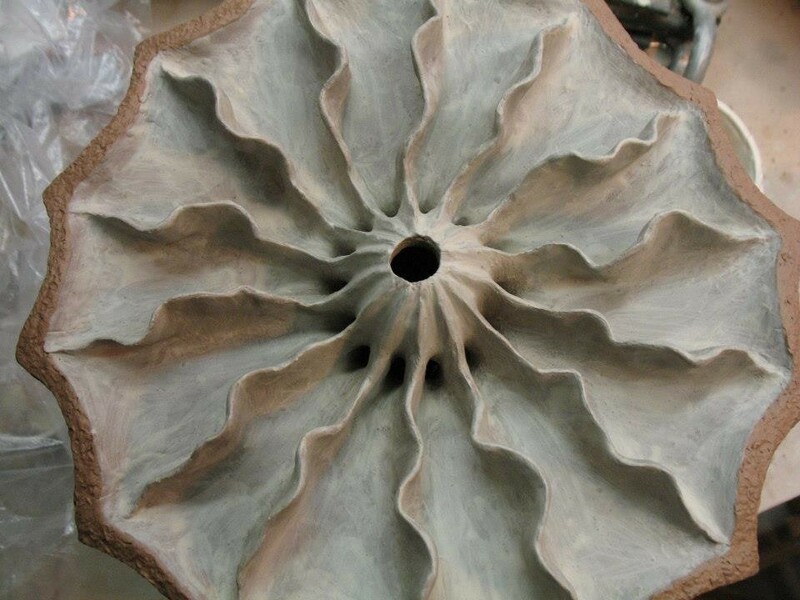 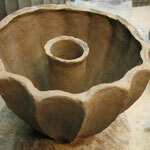 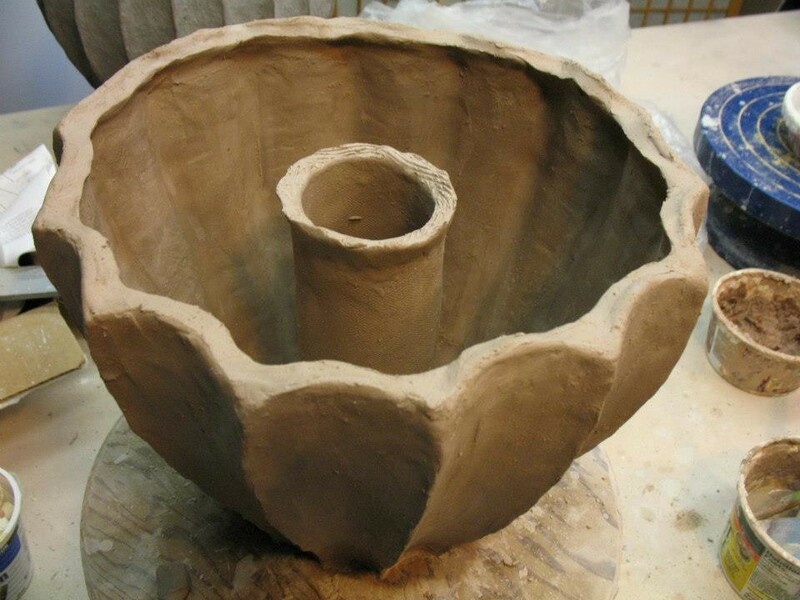 At that point, coils of clay can be added to each tube, which I then pinch and smooth into a floral shape. 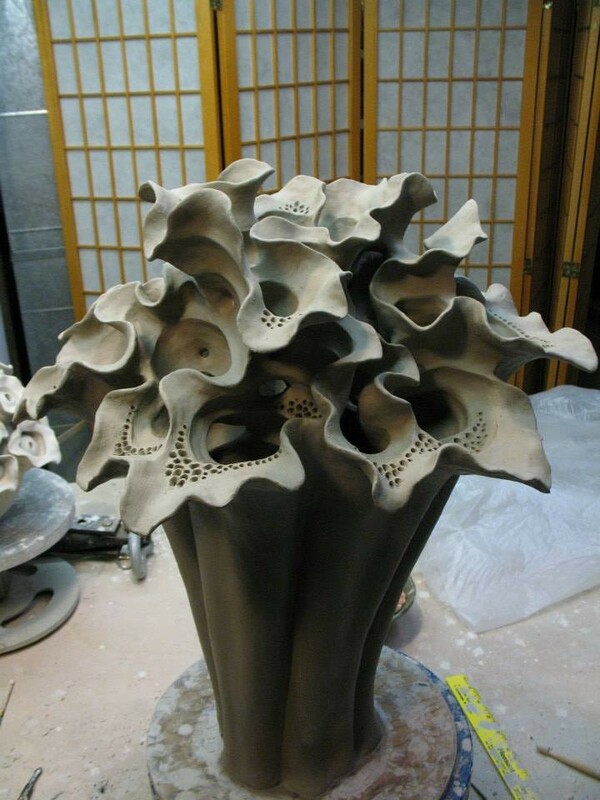 My pieces are all fired in an electric kiln, and it's a trick to fit these fragile and unwieldy organic structures into the small interior. 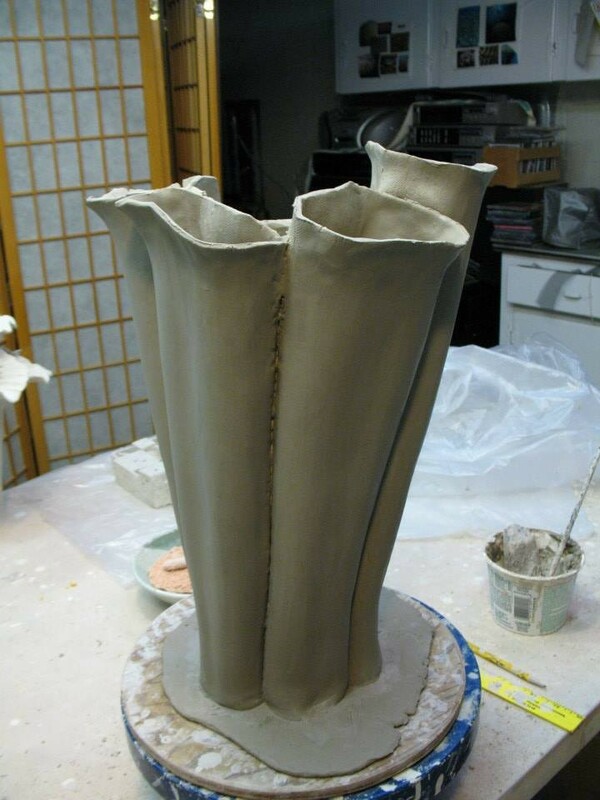 It's definitely my least favorite part of the work I do. 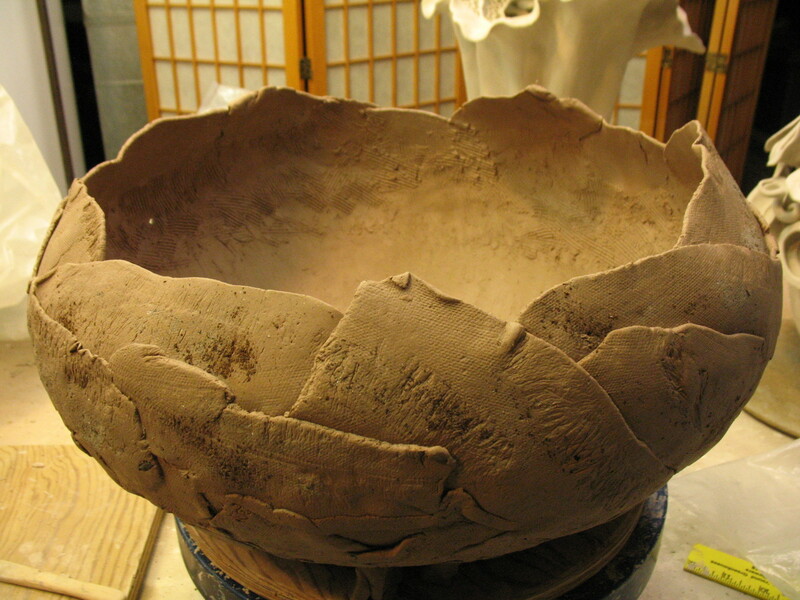 Following a bisque firing, I inspect each piece, repair any cracks, sand rough edges, then apply stains and sometimes glaze. 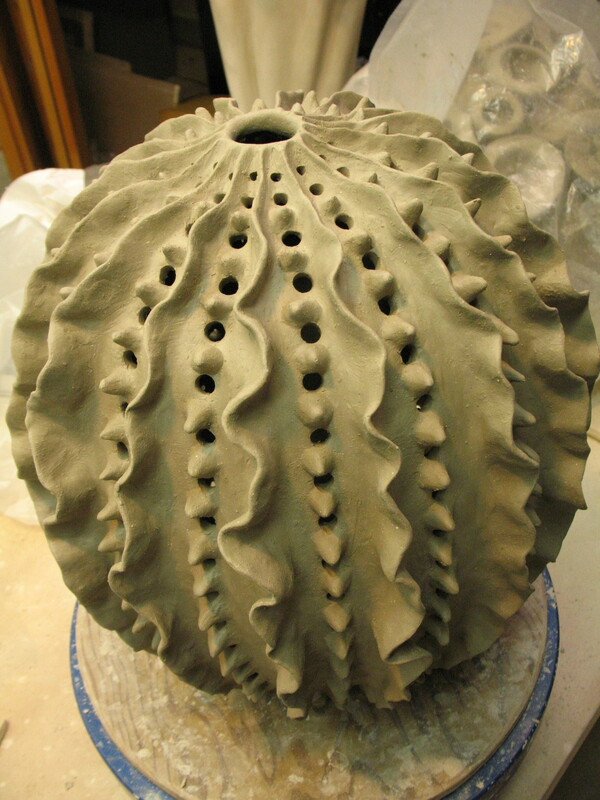 After that, it's time for the glaze firing, and the kiln is fired to cone 7, and allowed to cool for a minimum of 24 hours. 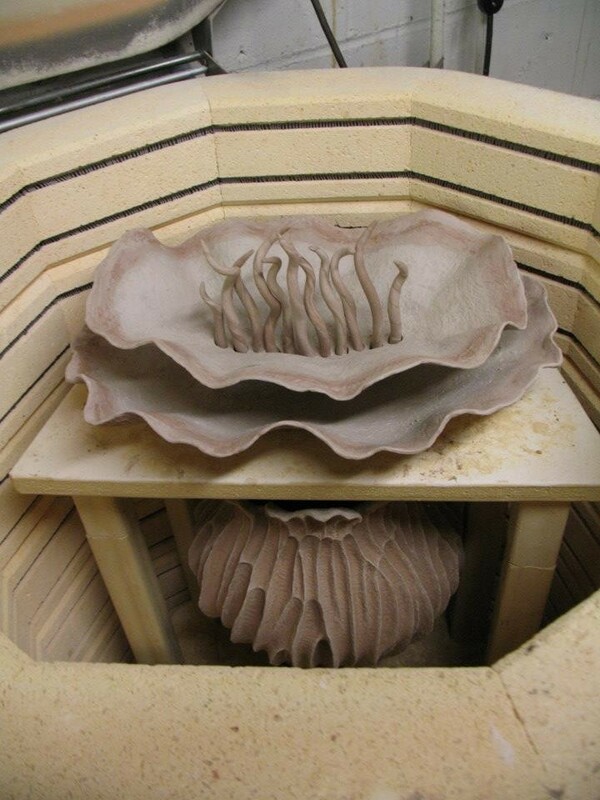 It's hard to wait, but when it's time to open the the kiln after the glaze firing, that's the most rewarding part of the entire process.